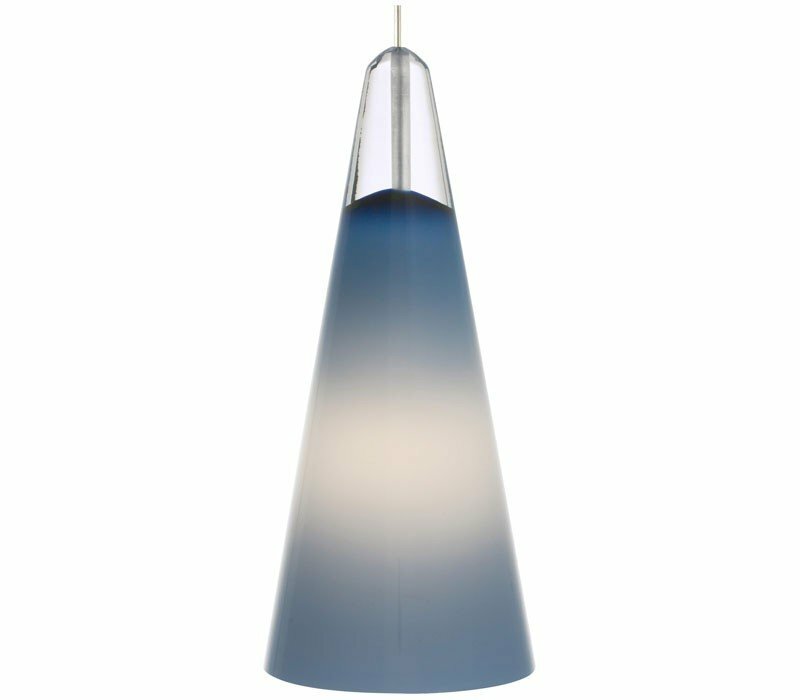 Hand-blown Venetian cone-shaped glass with rich, opaque color at the base which transitions into a beautiful clear draw at the top. Includes low-voltage, 50 watt halogen bi-pin lamp or 6 watt replaceable LED module and six feet of field-cuttable suspension cable. 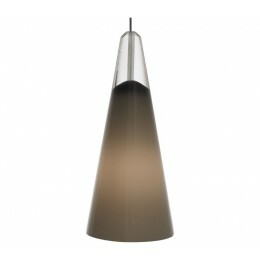 The Tech Lighting 700MOSLNUS Selina collection Track Lighting in Satin Nickel uses Halogen light output and brings Modern style. This item is 10"H x 4.3"W. The total wattage is 5 and the voltage is 12 volts. The Tech Lighting 700MOSLNUS requires 1 bulb (not included). 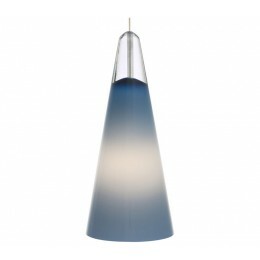 Additional Information: Shade-Hand-Blown Venetian Cone-Shaped Steel Blue Glass.